The Indonesian Government has pledged to ban the trade of cat and dog meat, via an announcement by the Directorate of Veterinary Public. The announcement was made at a 'National Coordination of Animal Welfare' meeting in Jakarta this month, attended by representatives of livestock and animal health departments, animal quarantine agencies, veterinary faculty academics, the Indonesian Veterinary Medical Association and several non-Governmental organizations from all provinces in Indonesia. All national participants agreed to issue a ban on the trades in Indonesia. In addition, they agreed to prohibit the issuance of health certification for dog and cat meat for human consumption. According to animal protection organization Humane Society International (HSI), campaigners with the Dog Meat-Free Indonesia (DMFI) coalition are celebrating this news, which they see as a major breakthrough. DMFI is made of local and international groups including Animal Friends Jogja, Jakarta Animal Aid Network, Change For Animals Foundation, Humane Society International and Four Paws. By working together, the coalition has exposed the suffering of the dog and cat meat trade, showing what HSI describes as 'shocking nationwide investigations where dogs and cats were filmed being bludgeoned to death and blowtorched alive'. In addition, the coalition has spread public awareness about how the trade can spread the deadly rabies virus. Kitty Block, President, Humane Society International, said: "The dog and cat meat trade is utterly brutal, a risk to human health and largely fueled by crime, so we applaud the Indonesian government for pledging to end the trade following our DMFI investigations. "We hope that this bold step will send a strong message to other countries across Asia, such as China, South Korea, India and Vietnam where 30 million dogs and 10 million cats suffer unimaginable cruelty for the meat trade, many of them stolen pets. "We stand ready to work with the Indonesian authorities to implement a robust ban, end the slaughter, and bring us one step closer to shutting down these dreadful trades for good." Lola Webber, Director at Change For Animals Foundation, said: "The extreme cruelty of Indonesia’s dog and cat meat trades is intolerable under both Indonesia and international animal welfare standards, and the Government is right to be concerned about the impacts of these trades on its international reputation. "With our growing awareness of animal sentience comes a greater responsibility to protect animals from cruelty. 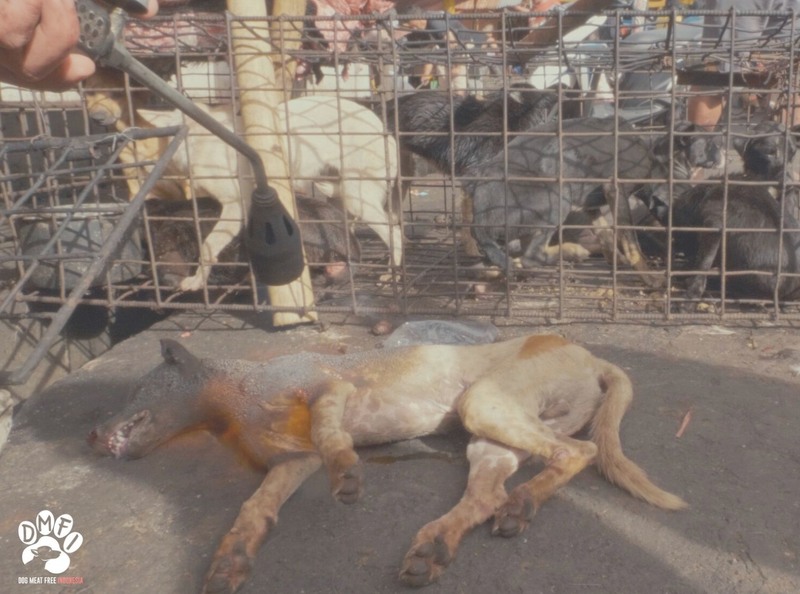 Customs evolve and the nationwide movement from within Indonesia calling for an end to these trades is proof that Indonesia is ready to banish the dog meat trade to the history books of shame and illegality. This latest announcement will be celebrated globally!" Bobby Fernando, of Animal Friends Jogja, added: "This is such a victory for Indonesia and the Indonesian Government has given us hope and motivation to collaborate with the government. 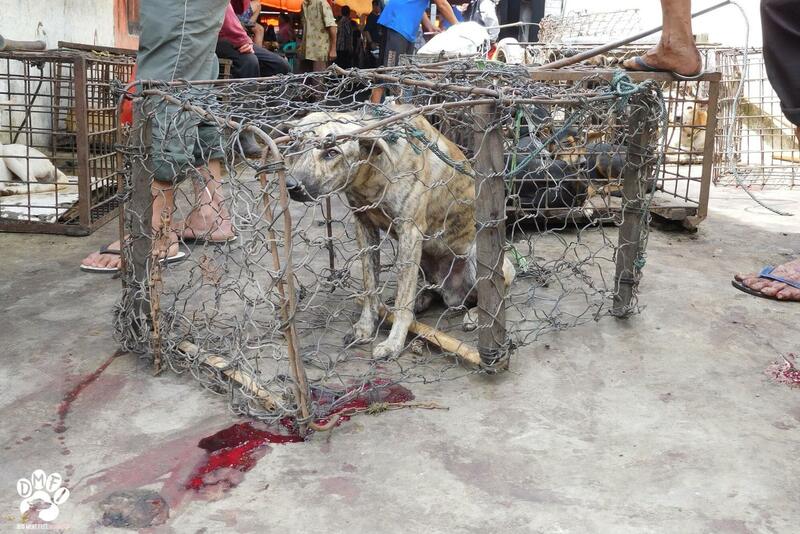 We are one step closer to a dog and cat meat-free Indonesia!"